One of my favorite parts of the holidays is the smells. When I was little, my mom would put a pot of water on the wood stove with cinnamon sticks and cloves in it. The house always smelled so lovely. When it comes to holiday baking, the smells are almost as good as the taste…almost. 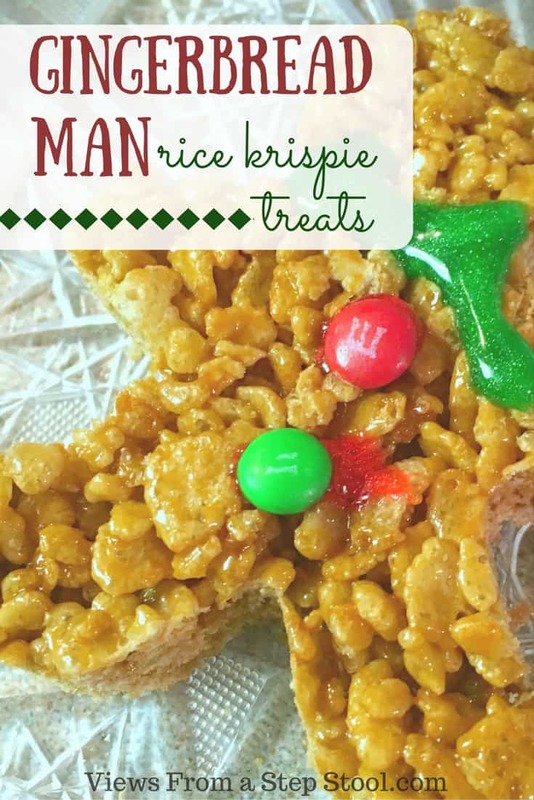 These gingerbread man rice krispie treats have that same warm, and festive holiday smell. 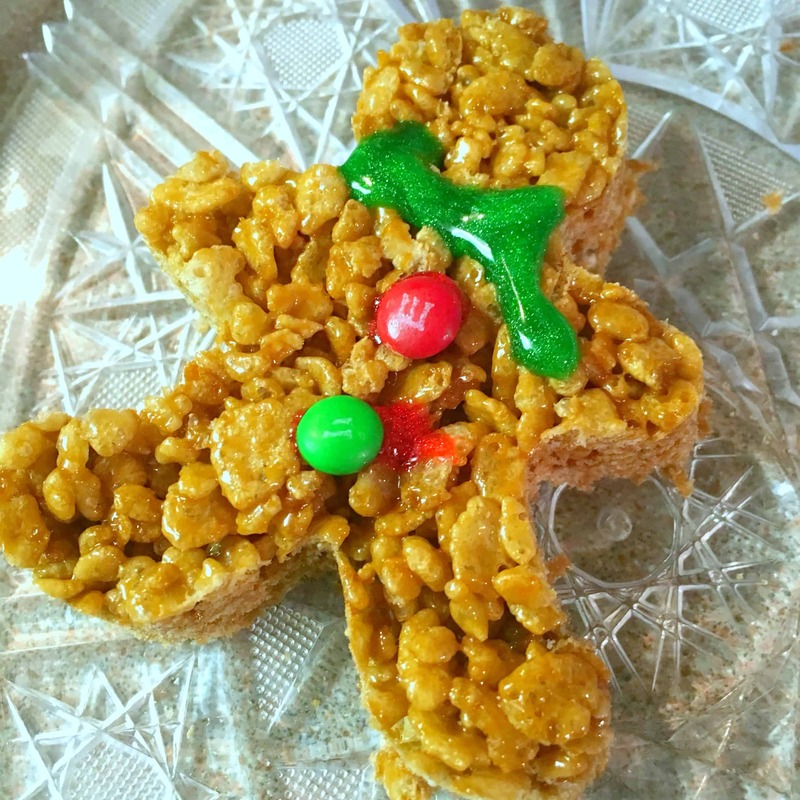 A fun kid-made treat, and super cute too! Prepare the rice krispie mix according to package directions (recipe here). 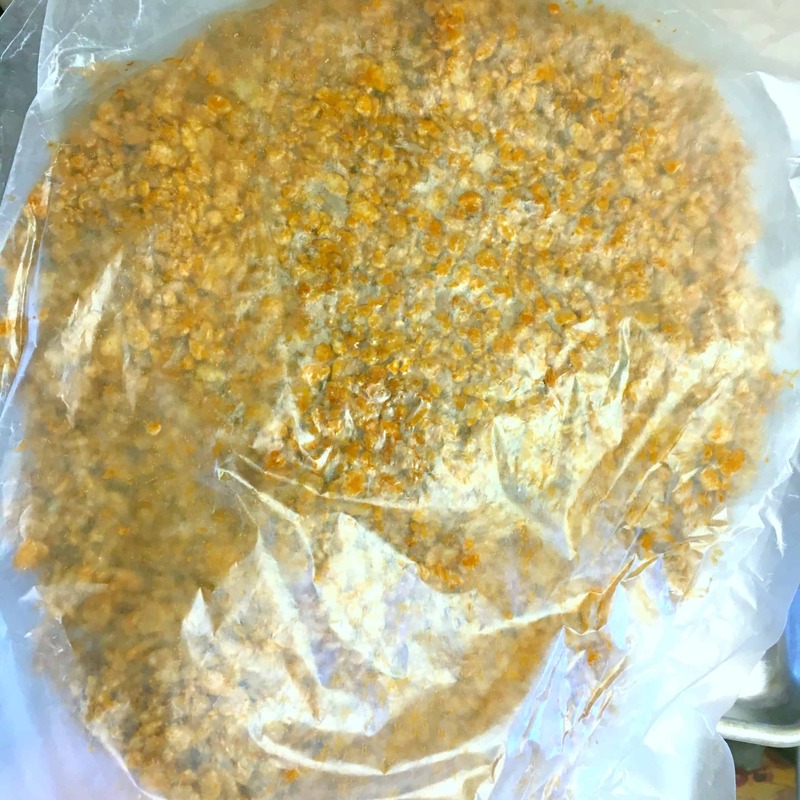 Sandwich and flatten the mix between two layers of wax paper. 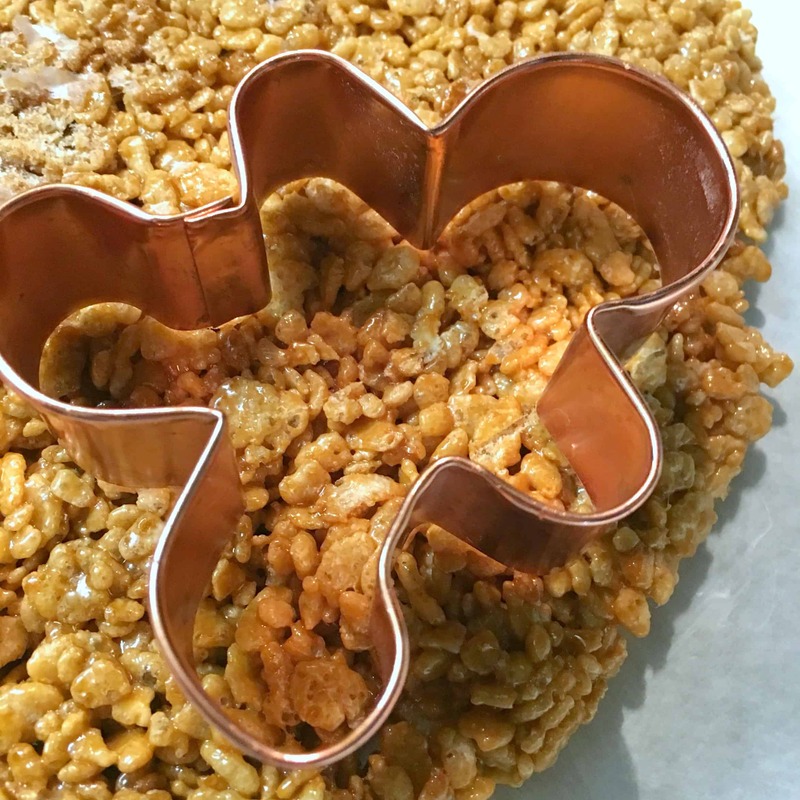 Cut out shapes with the cookie cutter. Let child decorate with the gel frosting and the mini M&Ms. These came out so cute, and I just love how differently the kids choose to decorate them. 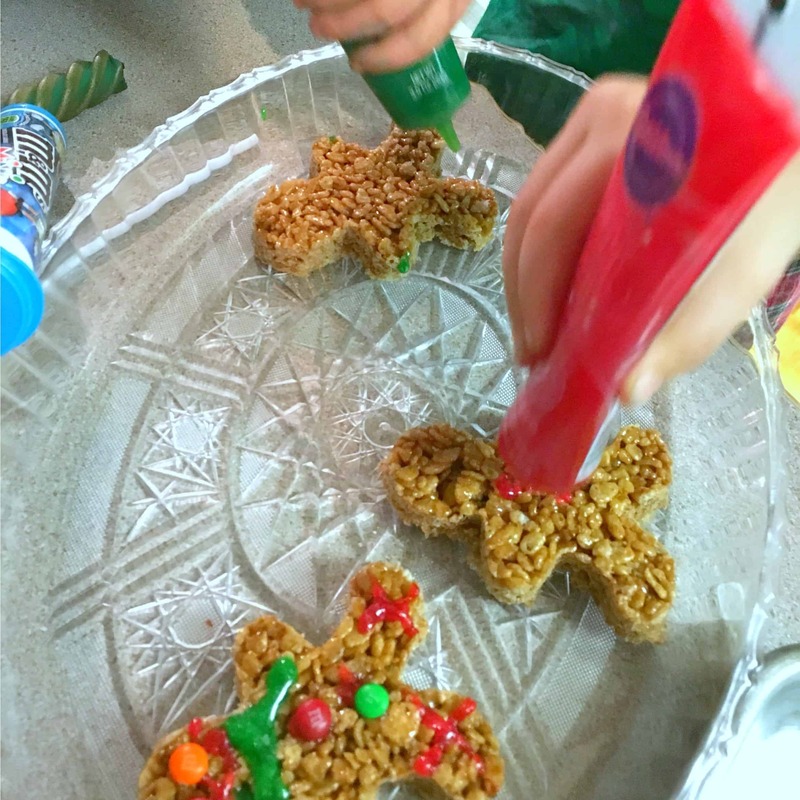 They love expressing their creativity and individuality when baking. 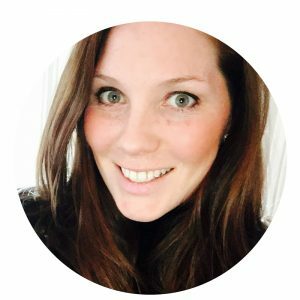 Getting kids in the kitchen is so important for a number of reasons. It provides quality, unplugged bonding time and allows for the opportunity to talk about math through measuring and counting! 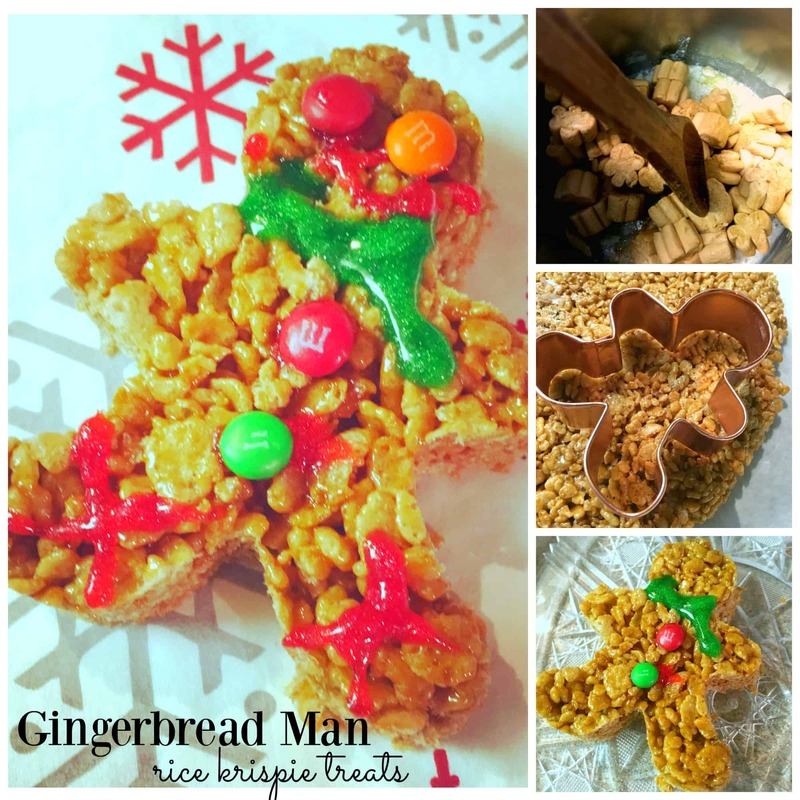 Have fun in the kitchen with your holiday baking!